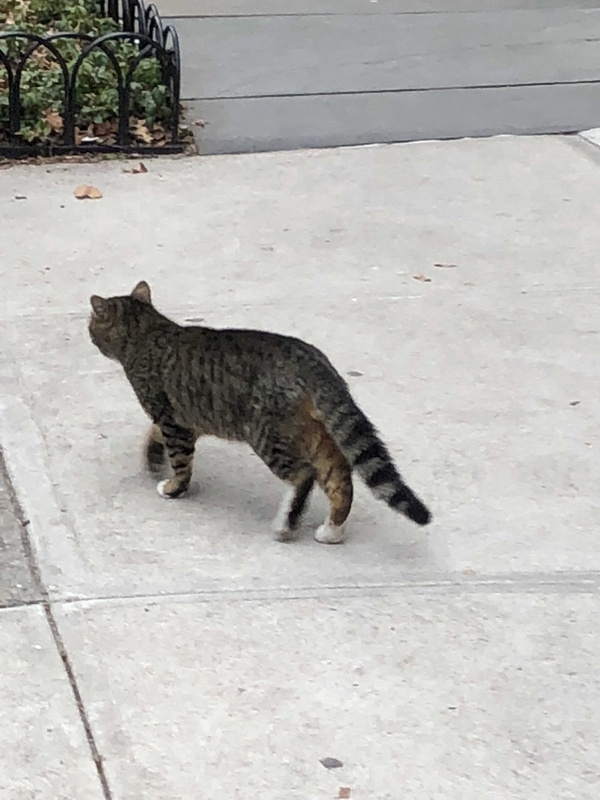 Spotted this cat wandering around Middagh & Hicks Streets yesterday. I’ve been hearing a cat meowing in the early morning hours somewhere in the block of Hicks/Cranberry/Middagh/Willow and possibly it’s this one. 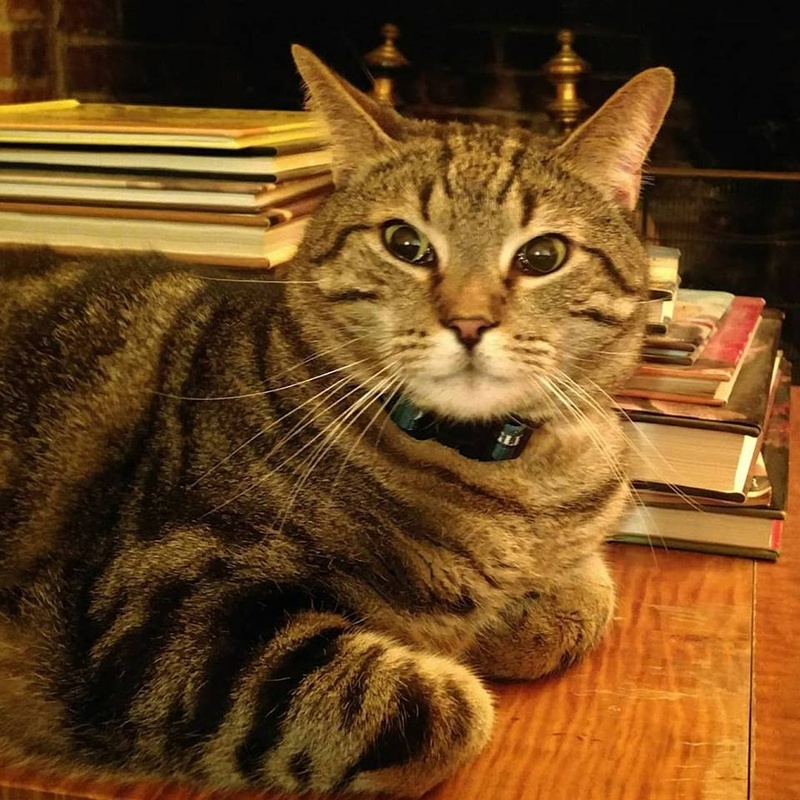 A local rescuer trapped a tabby yesterday in that area…not sure it’s the same cat, but guessing it might be. Did you notice if it had a white breast? 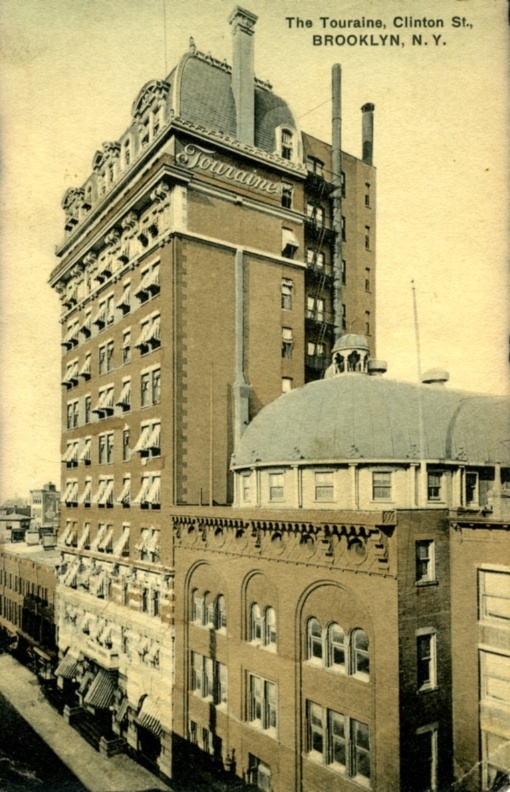 Here’s the other postcard of the Tourraine Hotel on Clinton Street (see last week’s Open Thread for the colorful image). Everything on this block has been demolished and replaced. 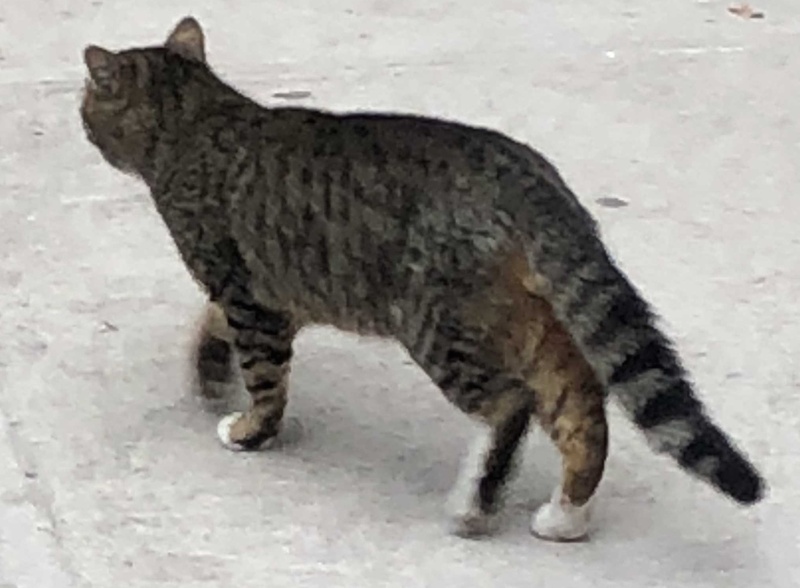 I saw the cat briefly yesterday around 6:45 pm- I saw him run down an alley (the one with the white fence between Hicks and Willow) and heard him meow (same as night-long meowing), but I couldn’t follow him until I had some company about 10 minutes later. (Not too keen on solo-walks down dark alleys). It was dark so I can’t say with 100% certainty that its the cat in the picture, but it could be. Do we know at what time the cat was trapped? As Little Richard often sagely said…he saw Mary coming, and he…. ….duckedbackintheally!!! If you want to understand feline behavior, just put on “Stray Cat Strut” by the Stray Cats and repeat as many times as necessary….. Yes that same alley is where I saw this cat emerge. It wouldn’t surprise me if there’s more than 1 cat living in there. The empty lot on Cranberry has sat unattended for several years once construction halted, and backing up on it is another house on Middagh currently undergoing a gut renovation and not lived in. Thanks. I was hoping someone was on the case. Thank you for sharing these photos, Andrew. I really appreciate the history you’re constantly sharing. http://www.tdymoving.com – We are a Brooklyn moving company. All our cats were wearing Not Patriots hats the other night. On a related note, I think it would be great if the OTW just turned into a place where everyone in the neighborhood posted weekly photos of their pets. Well, one of my girlfriends has a cat we rescued from a basement. He was living on low end dry food and what rats he caught. His water was from pipe drippings. He looked like victim of a real Holocaust. Skin and bones. Four years later, ” blackie” (you can imagine the other names we’ve called him) is healthy, mean and 80% of his current Weight is due to us, and due to the great guidance we’ve received from Phil at Whiskers and from Rocco and Jesebel. Check out Mary Frost’s piece in the Brooklyn Eagle of 9 February 2018 on the Design Build process that would spare severe environmental problems for Brooklyn Heights and beyond. 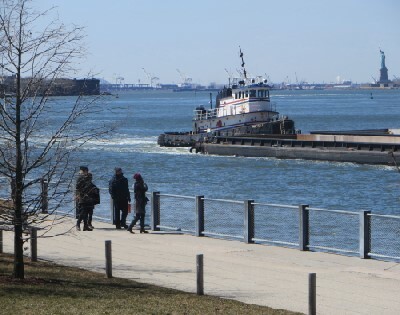 The upcoming construction project to repair the BQE roadway under the Promenade could unleash thousands of trucks onto local streets if action is not taken now. Does anyone know the source of the high pitched ringing / metallic hum by the river? We live on willow and it has been driving us nuts all weekend! Good question. What the hell is that!? There was a copper BMW X5 that had a high-pitched beep going off all day on Monday. It was parked in front of 57 Montague. Someone had the hood up trying to stop it, but it seemed to just make it quieter. I last saw the car parked in front of the St George, but it wasn’t making any noises. If you live a the north end of Willow, it might be the Cranberry Tunnel Air Vent. Most residents don’t notice it because the fans are on usually only during working hours, and rarely. But now with the new Pier Houses, the sound is reflected back into the neighborhood and is much louder.